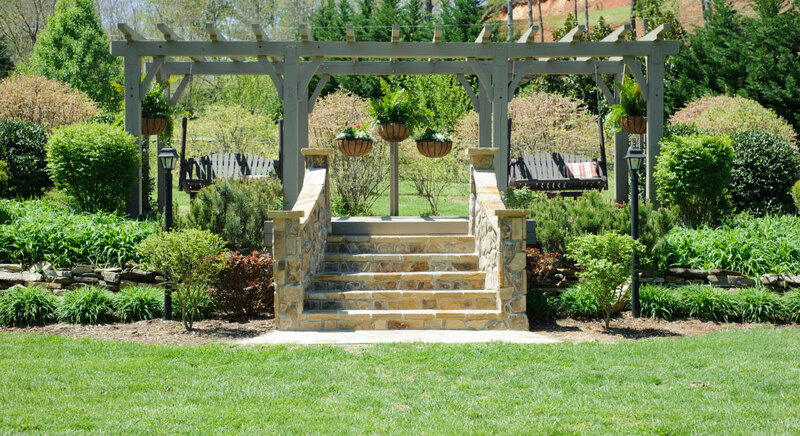 We offer a variety of beautiful settings for the wedding ceremony and you are welcome to get married anyplace on the estate that you like. 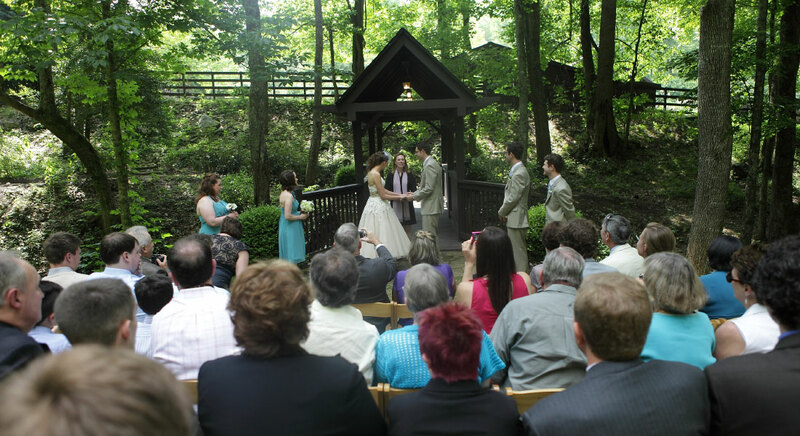 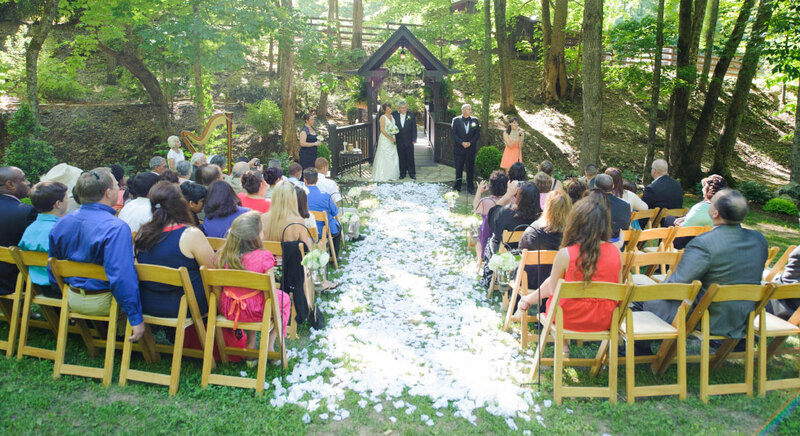 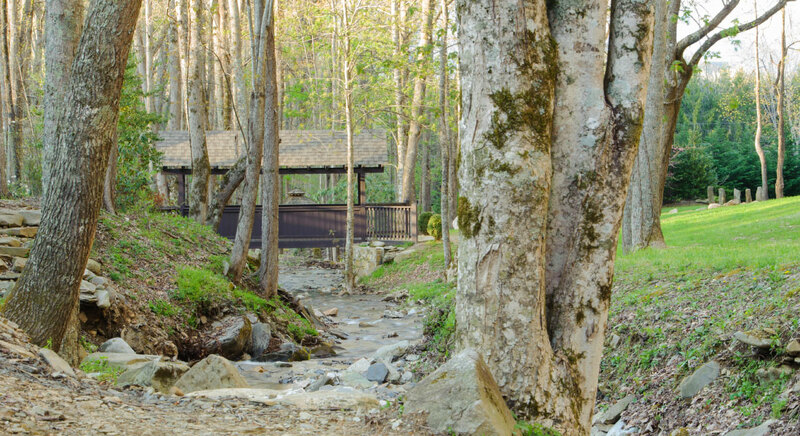 The covered bridge over Phillips Creek, framed by a wooded backdrop that changes with the seasons, is the most popular ceremony location and perfect for any size group. 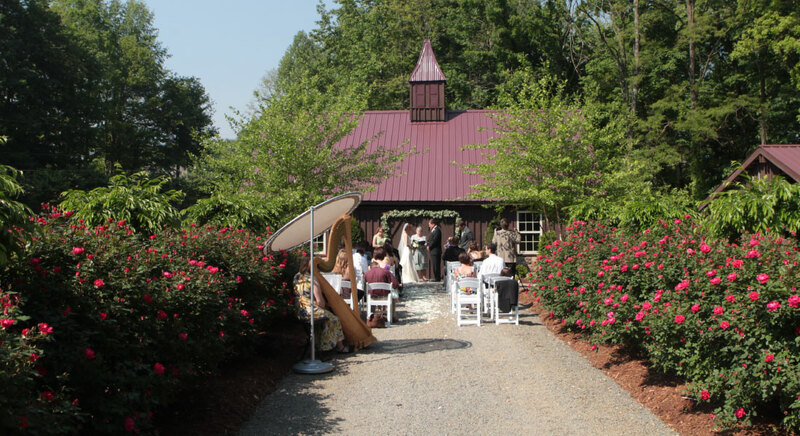 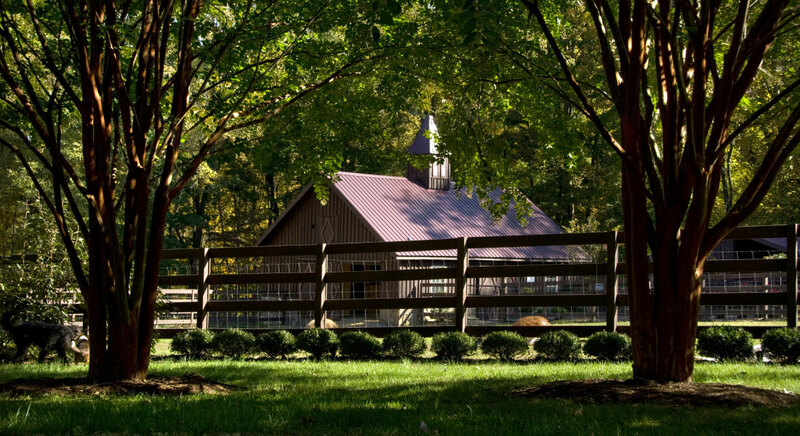 The llama barn with its brilliant roses, open pastures and resident llamas and alpacas is the ideal setting for a slightly smaller ceremony. 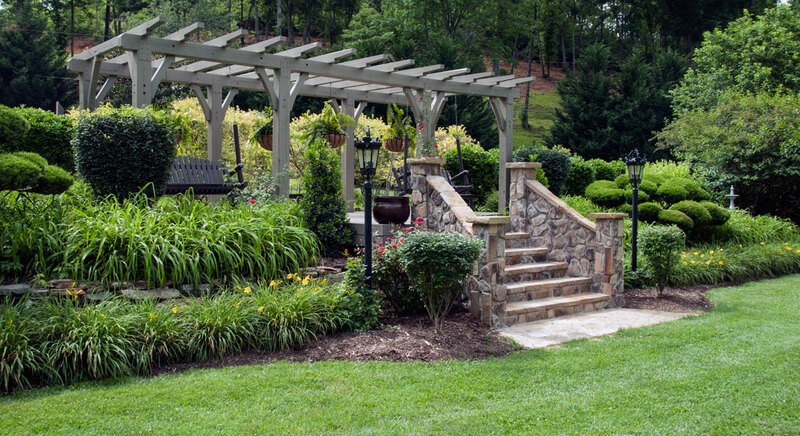 The lawn with the newly redesigned pergola and framed by lush floral gardens is the largest open space. 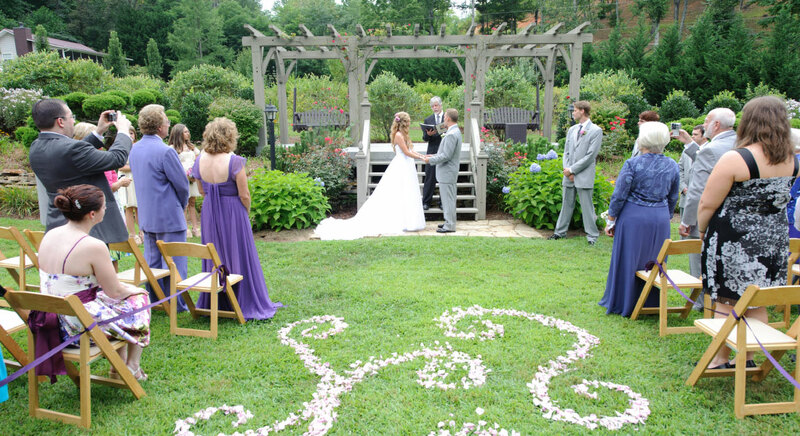 Since the entire estate is yours during your stay you can decide on your wedding day where you would like to be married. 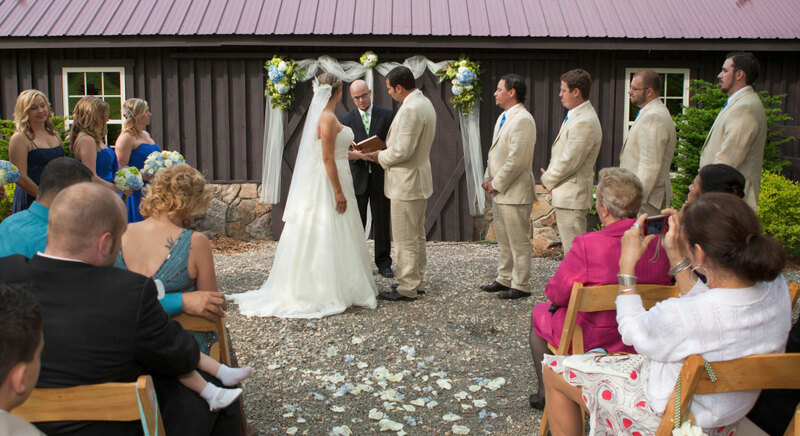 While the vast majority of our ceremonies are held on one of the three main venues, we're happy to have a ceremony anywhere on the 54-acre estate. 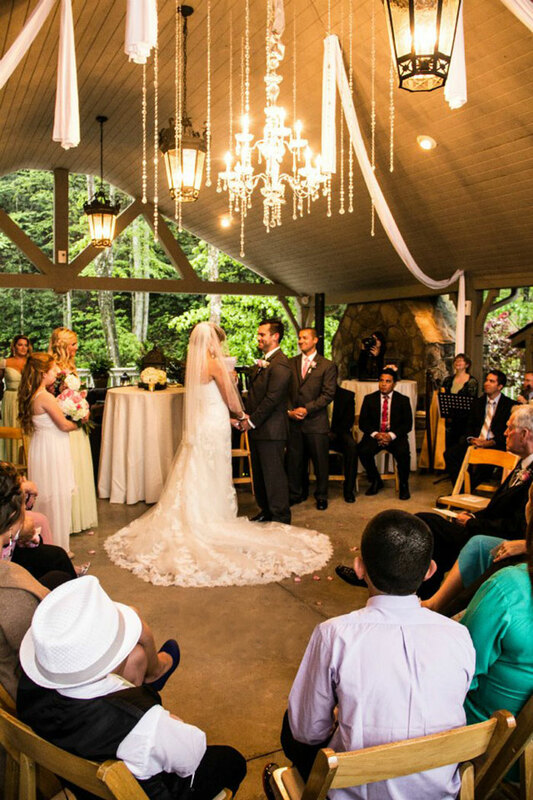 With its cathedral ceiling, the pavilion became the perfect setting for this small wedding. 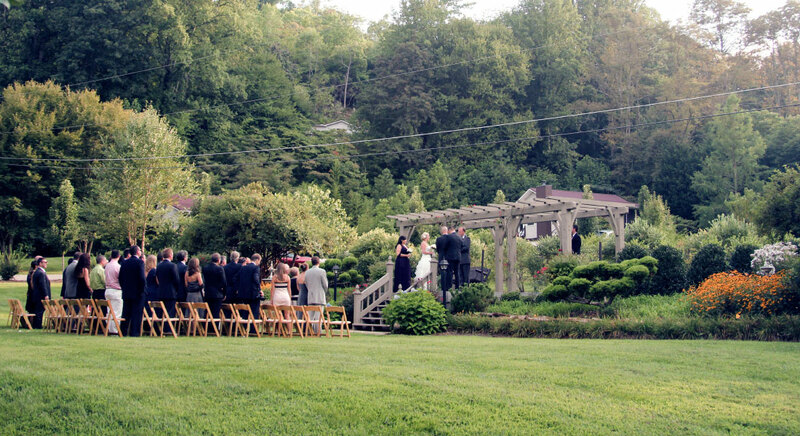 Please contact Hawkesdene via phone or email for more information on a Hawkesdene event.